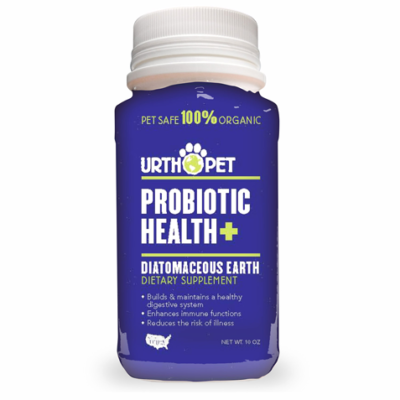 Home / Pet Products / URTHPET – URINARY TRACT HEALTH 8.5 oz. •For supporting normal inflammatory response and kidneyhealth. 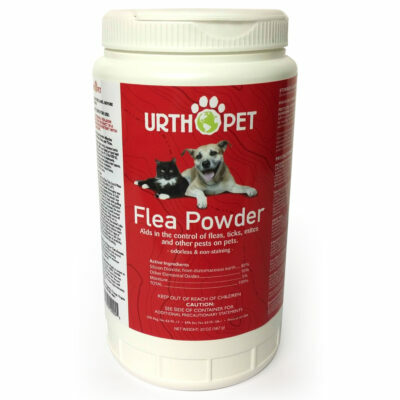 Administer during or after the animal has eaten to reduce incidence of gastrointestinal upset. Safe use in pregnant animals or animals intended for breeding has not been proven. Consult with your veterinarian before using this product in animals with diabetes; metabolic disorders causing hyperglycemia; or animals being treated with medications that affect blood sugar. Consult with your veterinarian before using this product in animals with clotting disorders or animals being treated with anticoagulant or antiplatelet medications. If animal’s condition worsens or does not improve, stop product administration and consult your veterinarian. GENERAL INFORMATION Cranberry juice has been a long standing aid for urinary tract health, and much is known about the benefits of proanthocyanidins for urinary tract health. But St. Gabriel Organics’ Urinary Tract Health doesn’t just contain proanthocyanidins… Urinary Tract Health is a strategic blend of natural extracts designed to achieve a healthy urinary tract for dogs and cats. St. Gabriel Organics’ Urinary Tract Health contains more proanthocyanidin in one teaspoon than 4 fl. oz. of cranberry juice cocktail*. Ursolic acid was once considered the active component of cranberries, but now, researchers have realized that the concentration of ursolic acid in cranberries is too low to account for the urinary tract health benefits of cranberries, and that the actual benefit of cranberries lies in cranberry’s unique type-A proanthocyanidins. Furthermore, these proanthocyanidins are a carefully extracted oligomeric form of proanthocyanidins which become more concentrated in the urine, where it counts. However, ursolic acid, extracted from Loquot leaves (Eriobotrya japonica), is the perfect adjunct to the beneficial effect of cranberry’s type-A proanthocyanidin. What else is in St. Gabriel Organics’ Urinary tract Health? How about bromelain, berberine, and Phyllanthus amarus extract? In case you didn’t know, bromelain is an enzyme, extracted from pineapples. Bromelain’s synergistic qualities make it an indispensable component of this product. And of course, berberine! Besides having a very long history of use, berberine is simply too awesome to summarize. Berberine is essentially the active ingredient in Goldenseal, Oregon grape, and barberry (to name a few). Urinary health is strongly correlated with kidney well being, and it is believed that the rich supply of organic acids, tannins, saponins, alkaloids, enzymes, and the vast array phytochemicals found in Phyllanthus amarus are the reason that the common name for this plant is, STONEBREAKER. There is much evidence that this plant can be important for many aspects of urinary health and kidney function. *Calculation based on 231 mg of proanthocyanidins per liter ofcranberry juice cocktail. This product is ready to use from the bottle. Shake before measuring/using. One level tablespoon after shaking weighs approximately 2.42 grams on average. One level cupful after shaking weighs approximately 116 grams (4.1 ounces) on average. 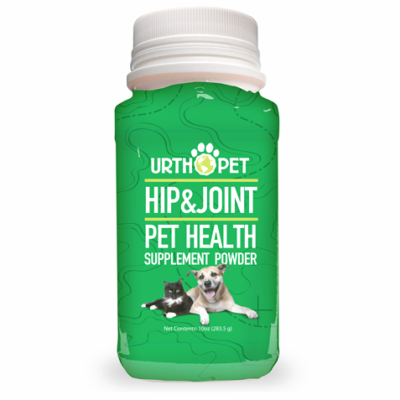 This product should be administered daily, according to Pets’ weight or as recommended by your veterinarian, to help support pets’ normal urinary tract and kidney function. For most pets, a healthy urinary tract can be generally expected a few days after initiating a daily regimen. There is no withdrawal period, but Urinary Tract Health should be taken daily for at least three months to fully establish healthy kidney and urinary tract function depending on specific issues regarding your pet and possibly environmental conditions. Keep away from strong light and heat. DO NOT BAKE or add this product to hot food, because heat will destroy the active ingredients. 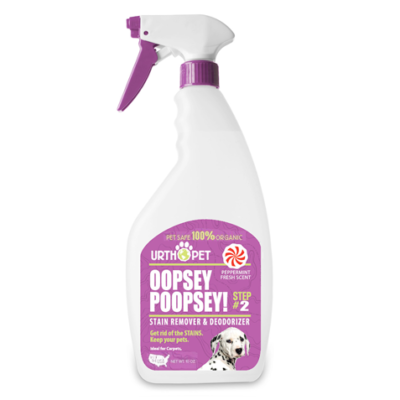 Do not store pet food mixed with UrthPet Urinary Tract Health. 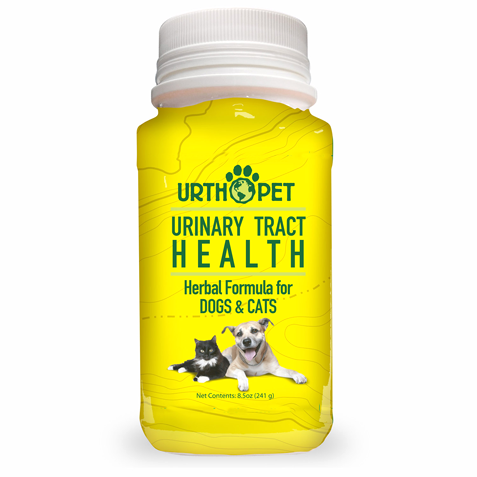 Store UrthPet Urinary Tract Health in its original package in a cool dry area. Shelf life is at least two years from the date of manufacture. Refrigeration may extend the life of the product. WARRANTY Seller warrants that this product conforms to the chemical description on this label and is reasonably fit for the purposes stated on this label only when used in accordance with directions under normal use conditions. This warranty does not extend to use of this product contrary to label directions, or under abnormal use conditions or under conditions not reasonably foreseeable to seller. Seller makes no other warranties, either express or implied.